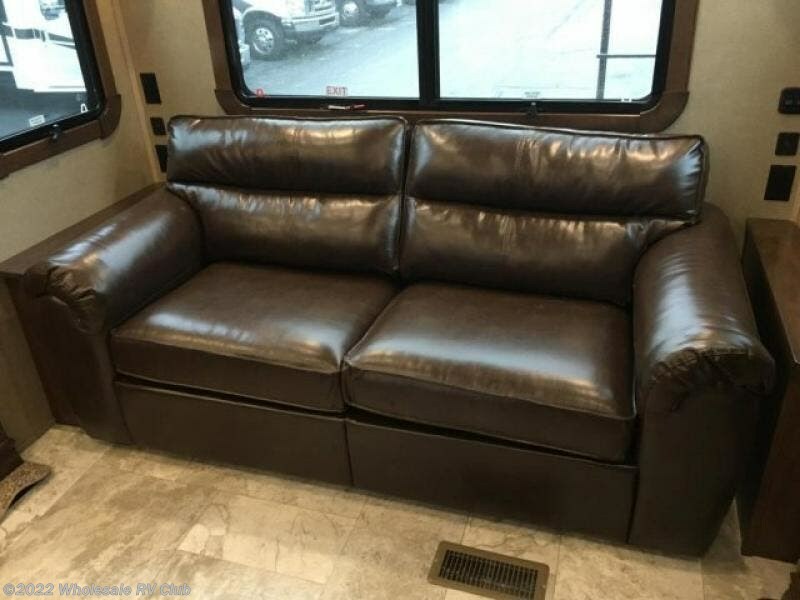 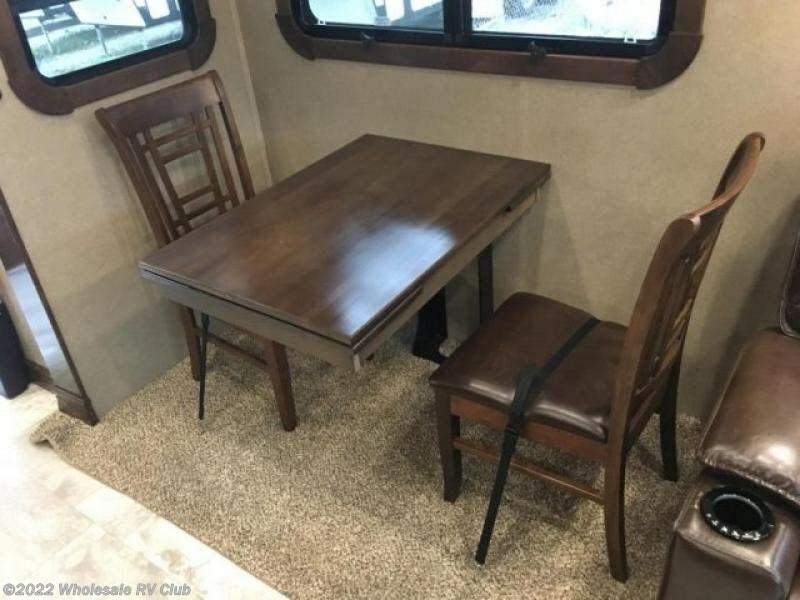 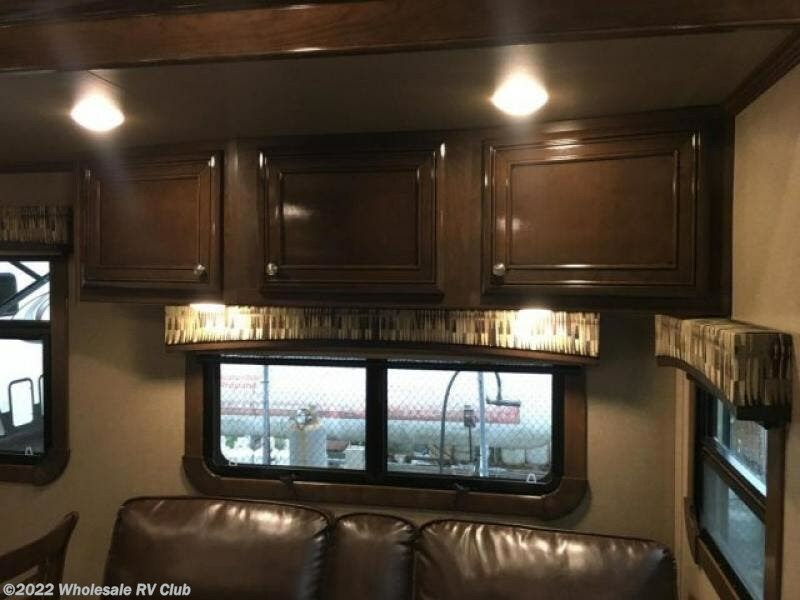 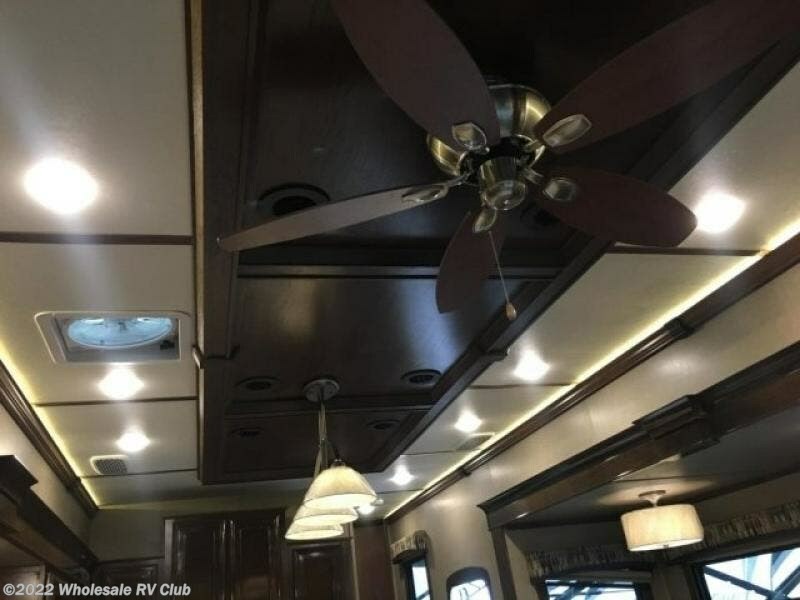 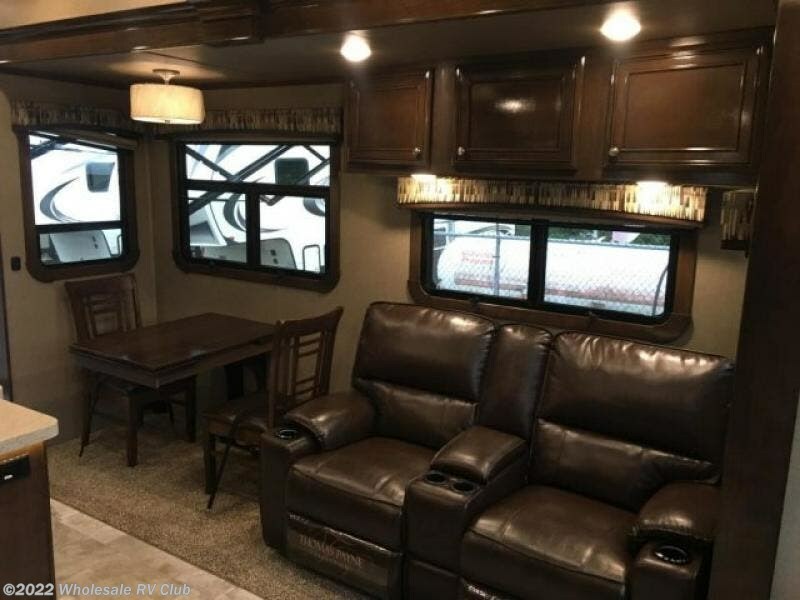 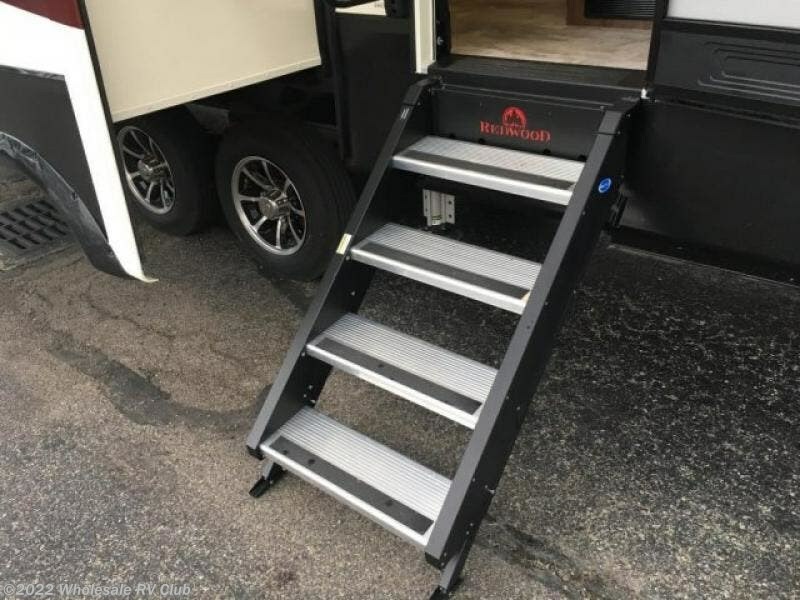 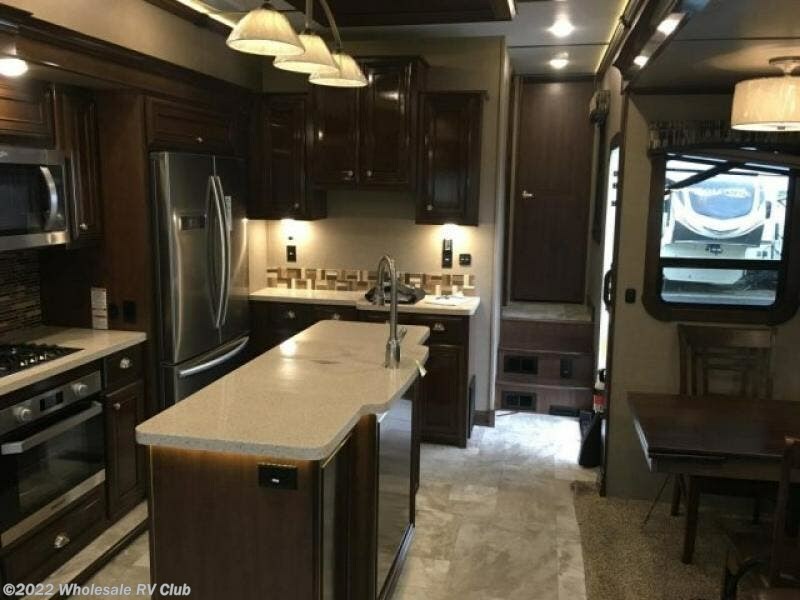 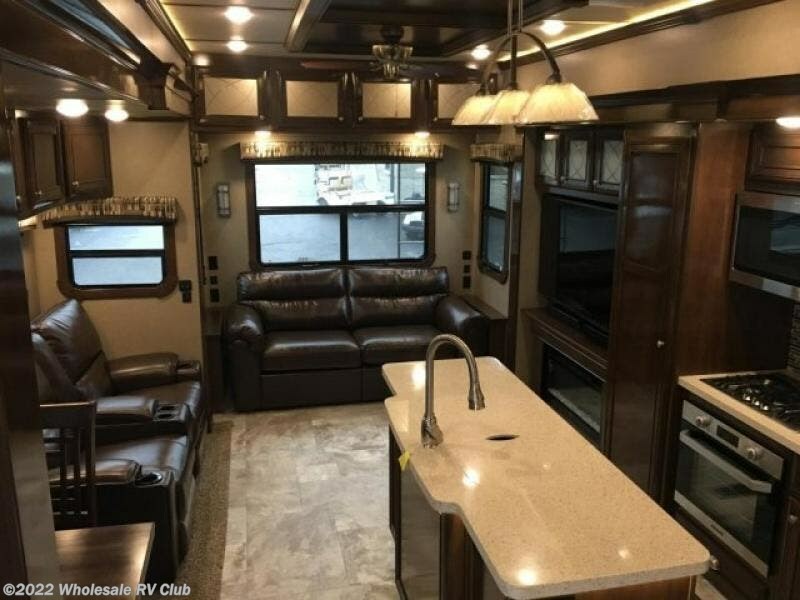 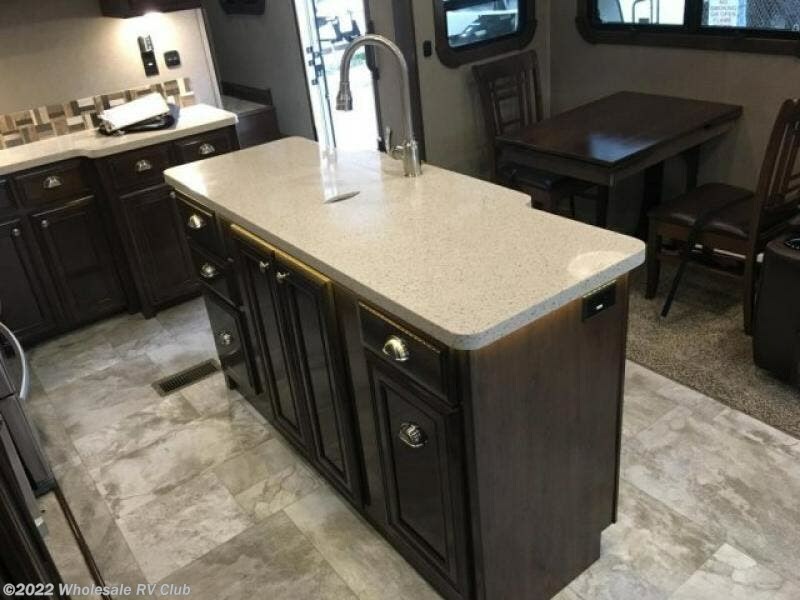 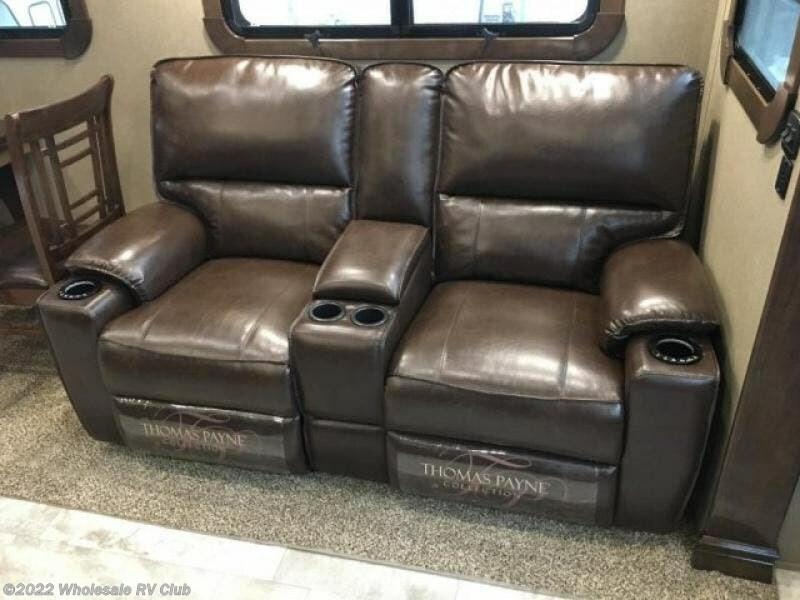 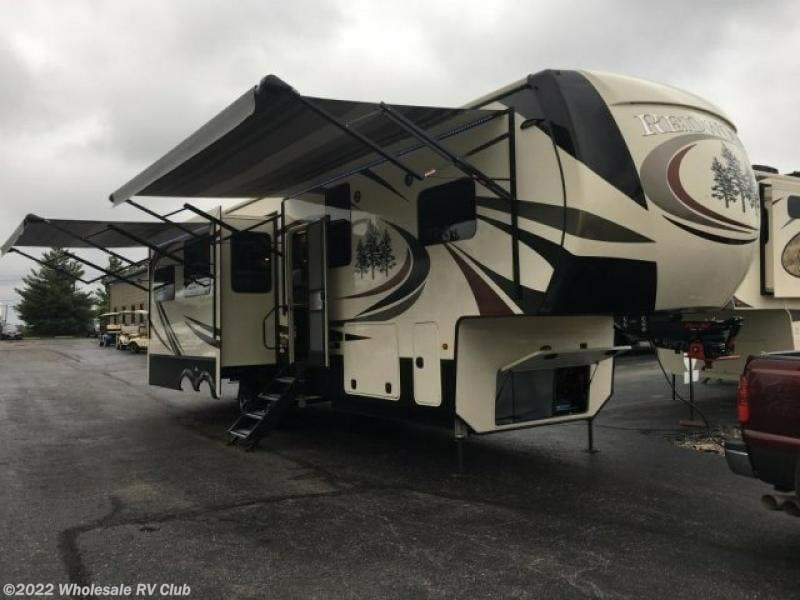 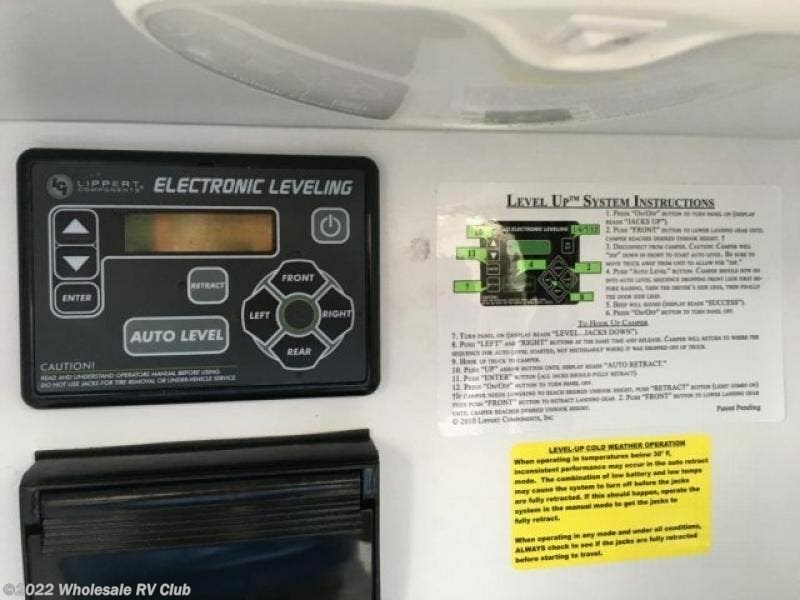 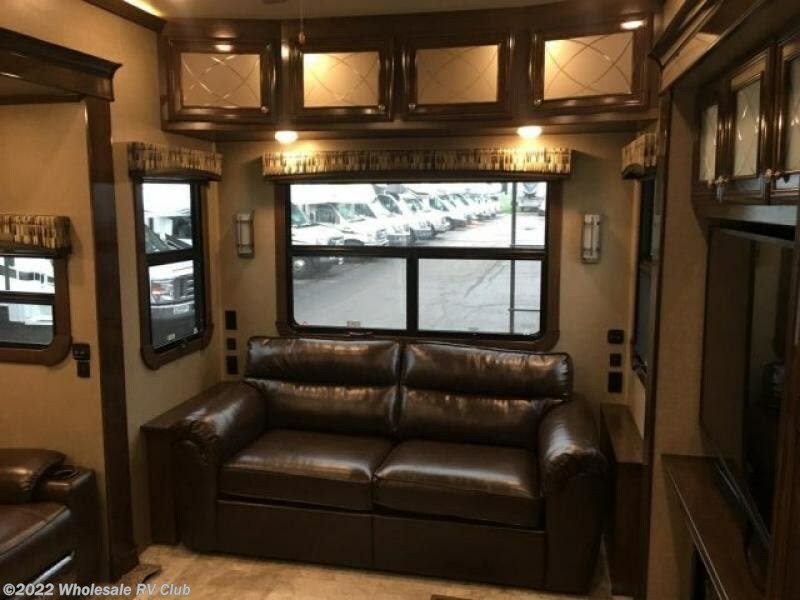 Come make this luxury fifth wheel your home away from home while you camp at your favorite campground! 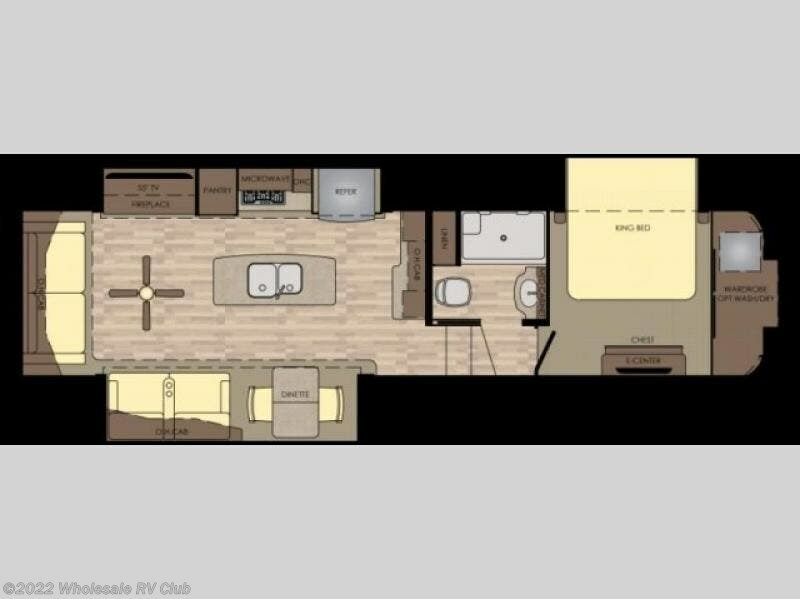 This model features triple slides, a rear living area with a sofa and theater seats for movie nights! 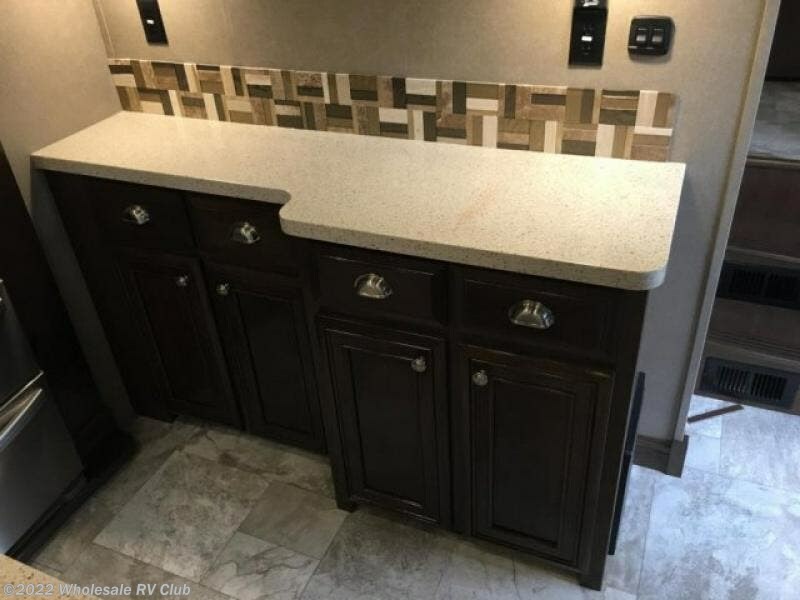 Meal prep is a breeze in this residential kitchen. 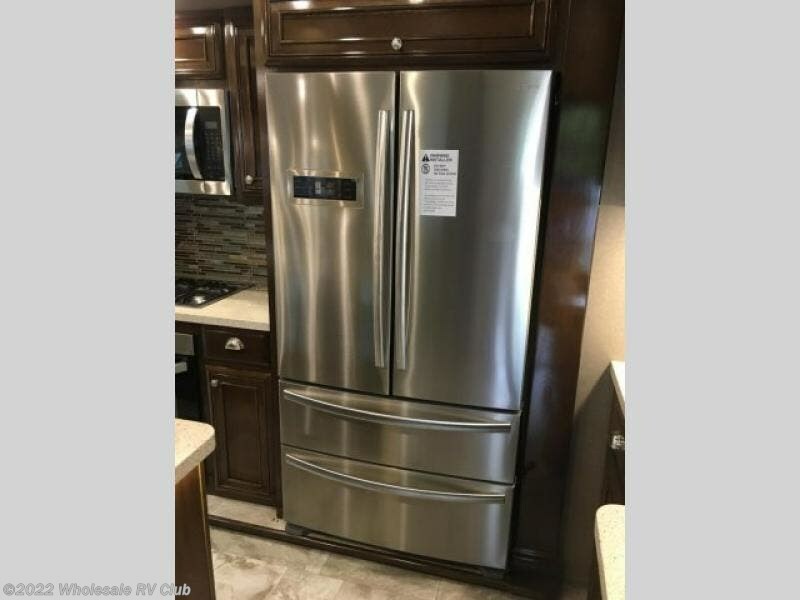 You will love all of the storage space with the residential refrigerator and large pantry. 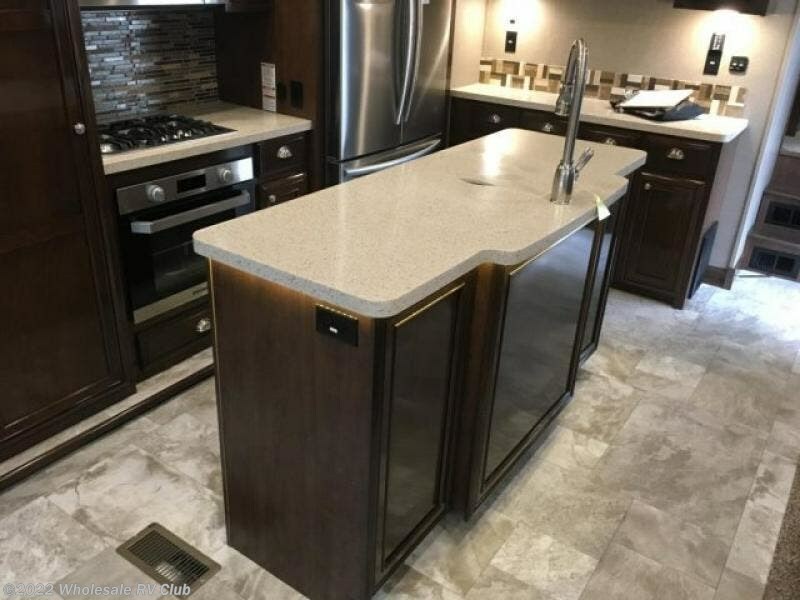 The kitchen island provides extra counter space as well as a double sink. 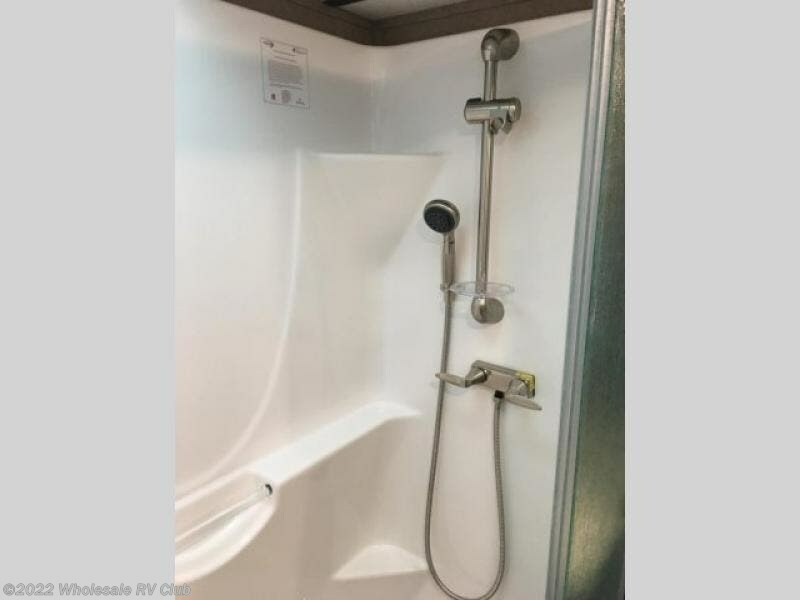 Head up the stairs and you will find the bathroom that features a domed shower skylight that provides extra standing room. 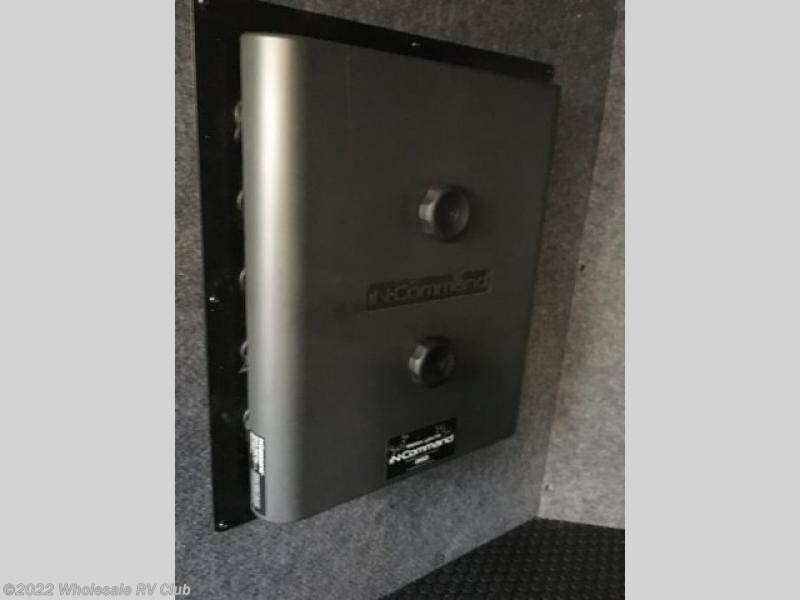 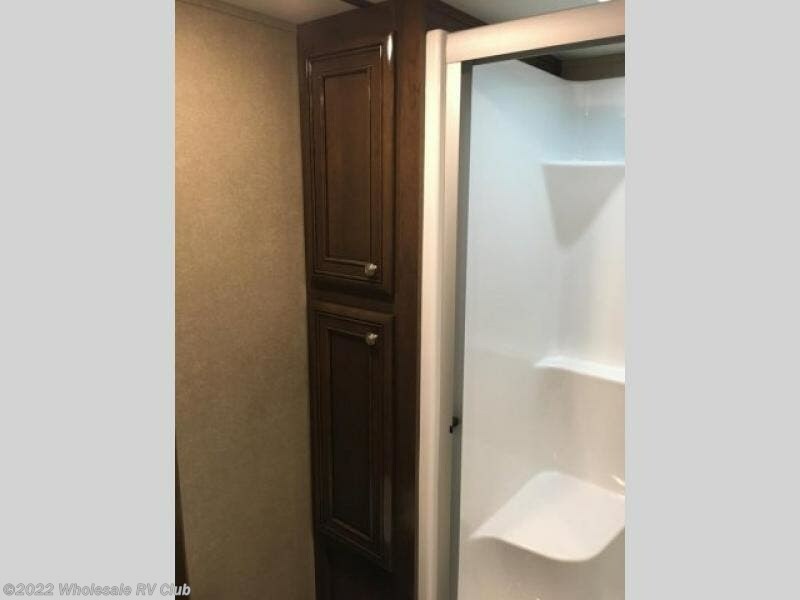 This unit includes a front bedroom with a king bed, plenty of storage with a chest, a large wardrobe, plus there is a spot for an optional stacked washer and dryer! 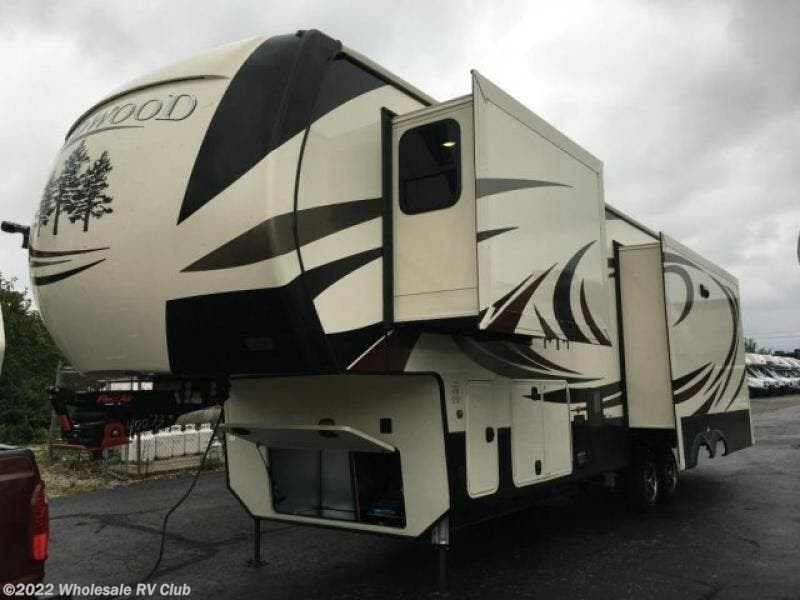 All Redwood fifth wheels are filled from top to bottom with luxury. 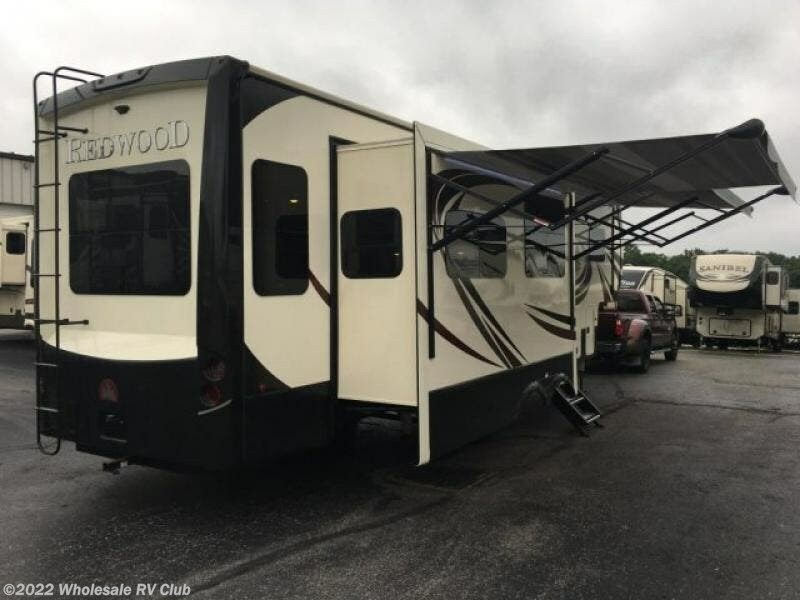 With the full-time living package included, you can easily make a Redwood fifth wheel your home. 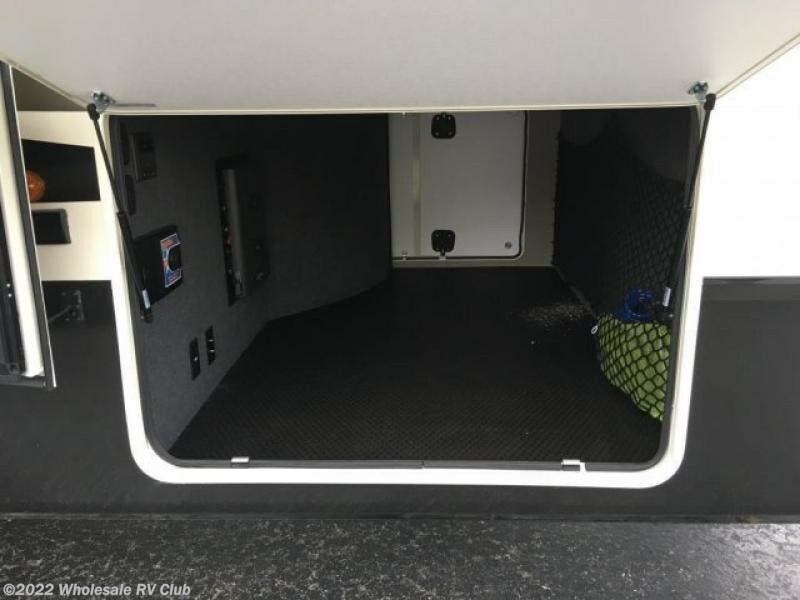 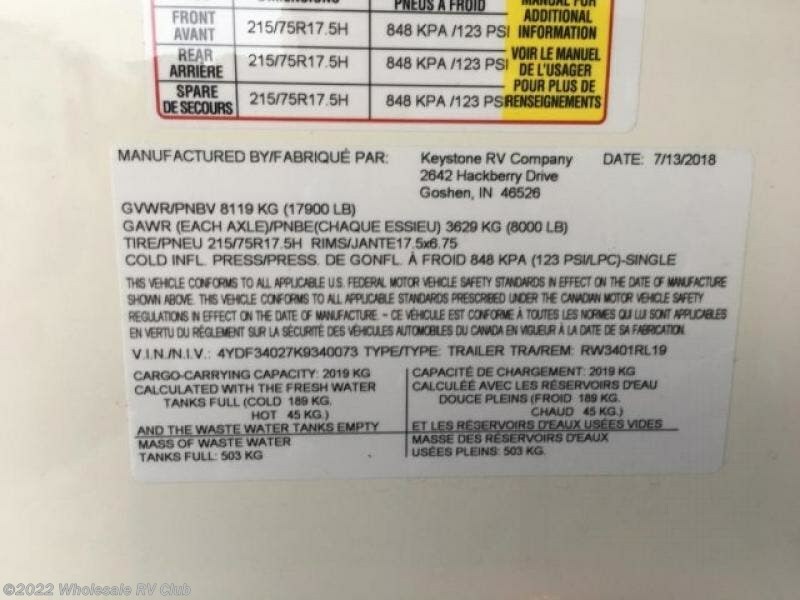 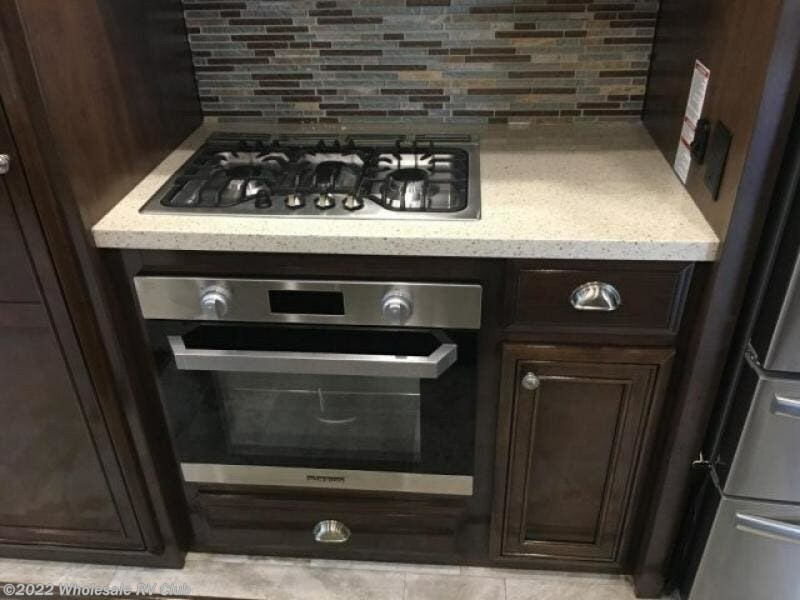 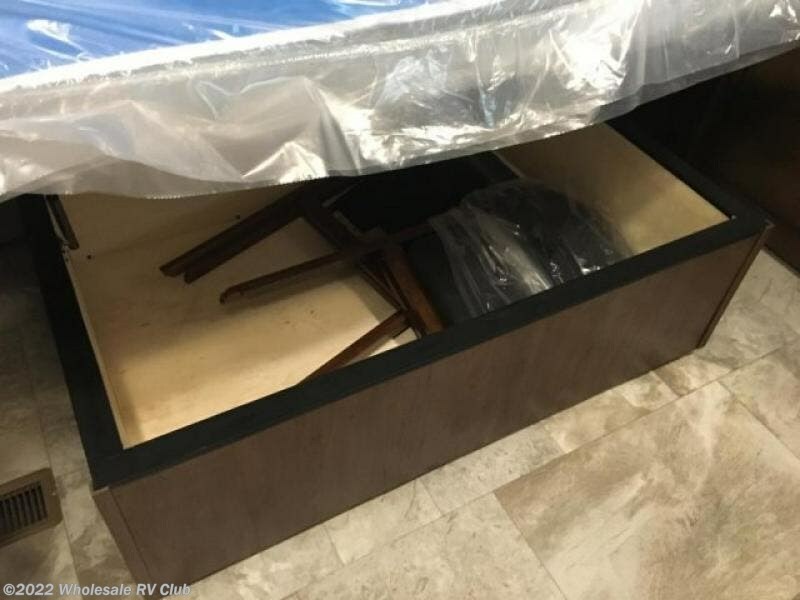 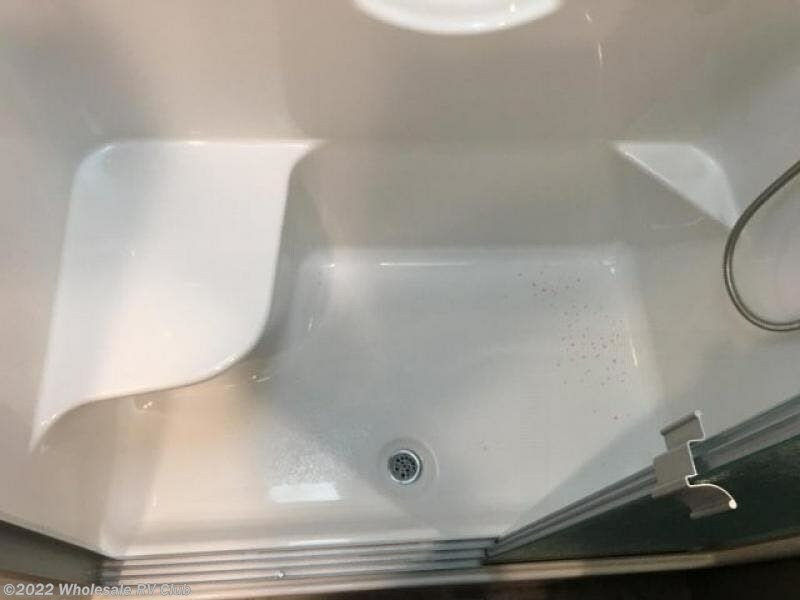 This package features a FIT 2.0 chassis, a large high rise island with a pullout cutting board, a full pantry with a sliding drawer, and more! 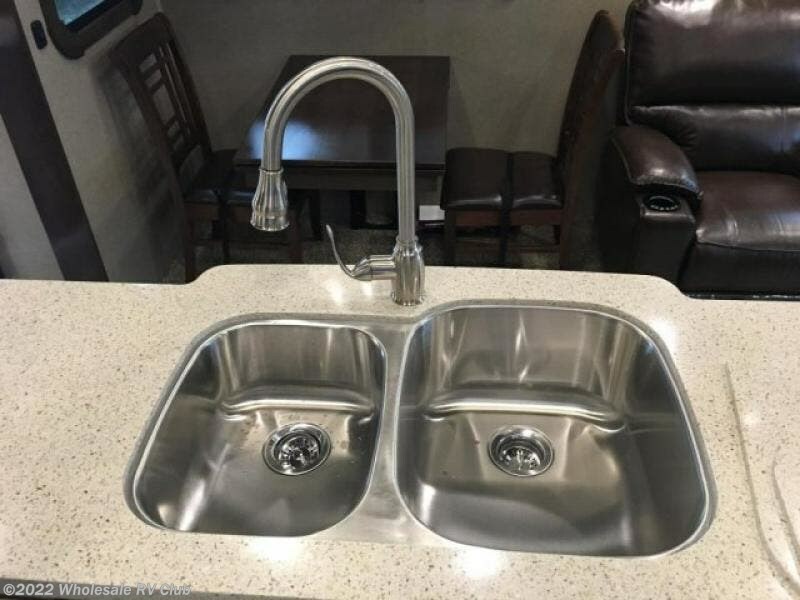 Each unit has plenty of residential features, including, a complete kitchen with residential appliances and storage spaces, plus solid surface counter tops and sinks to make you feel right at home. 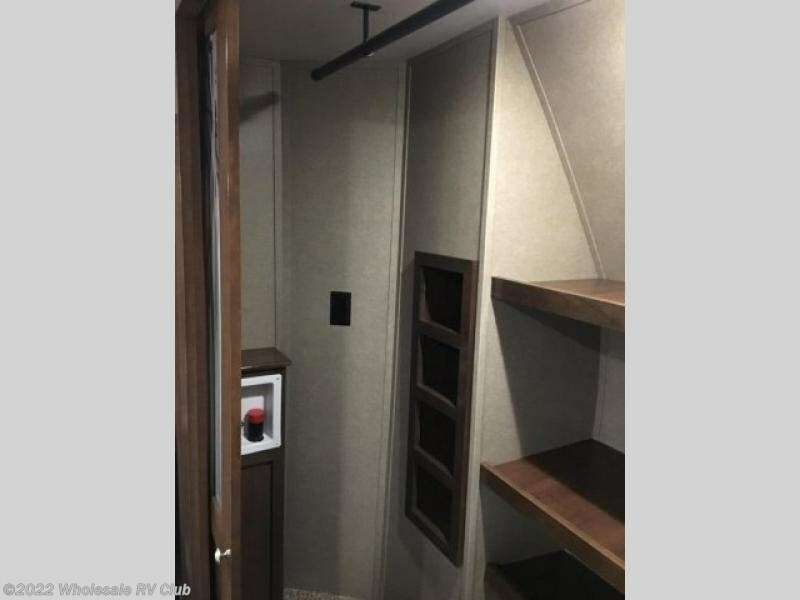 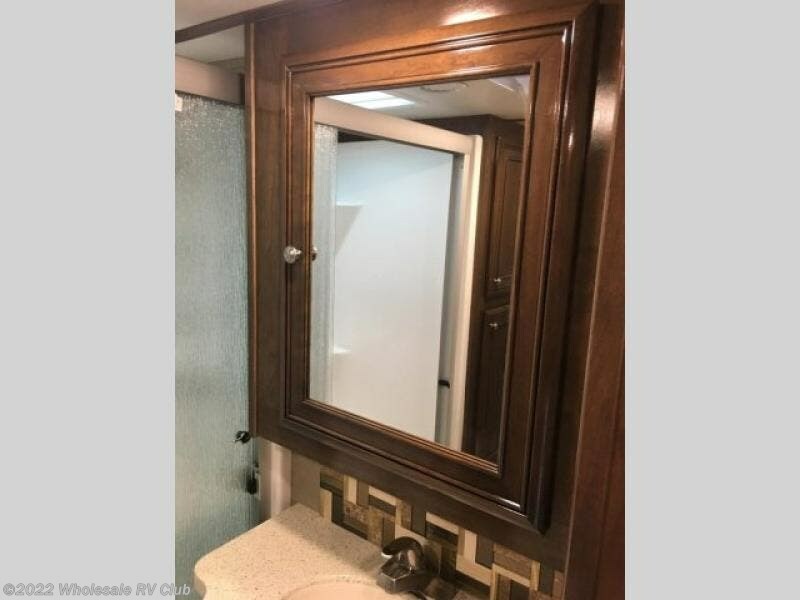 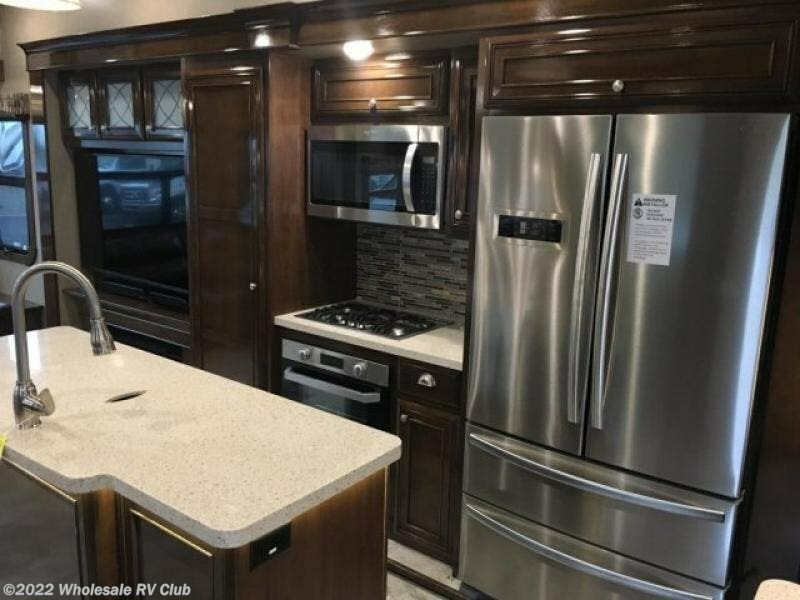 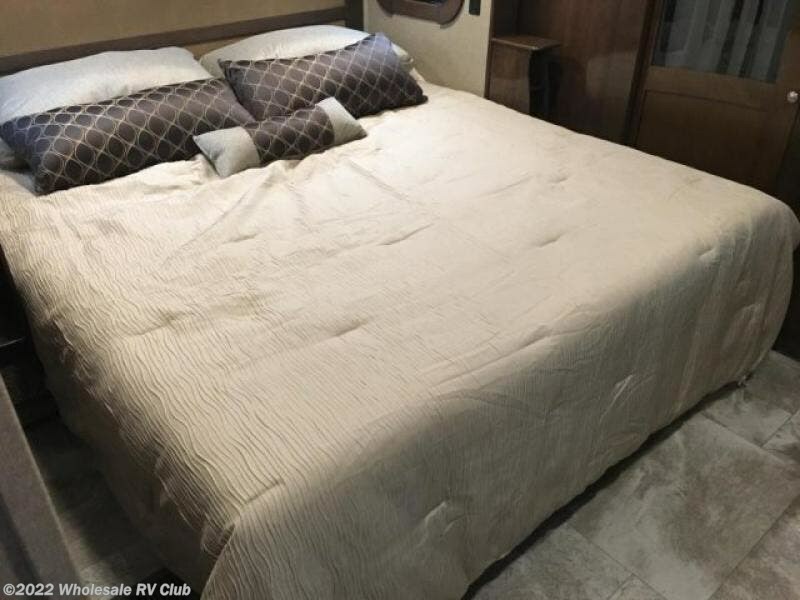 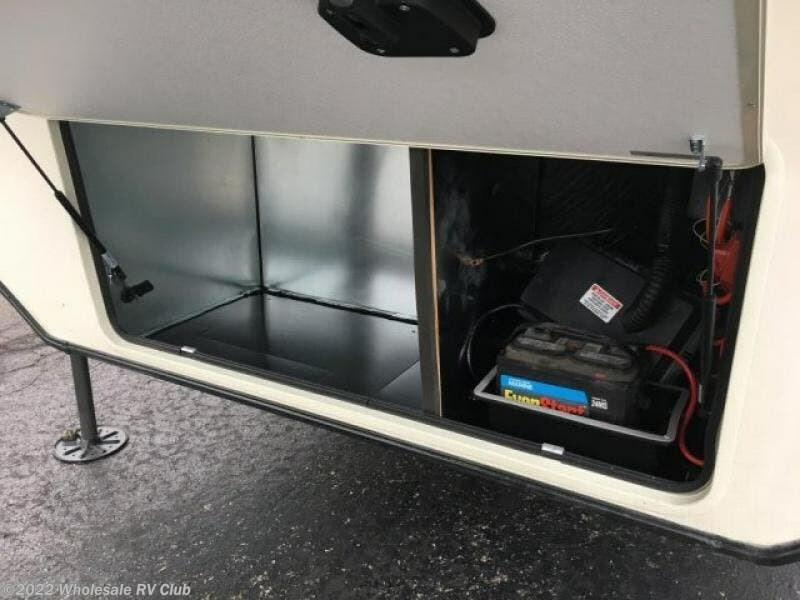 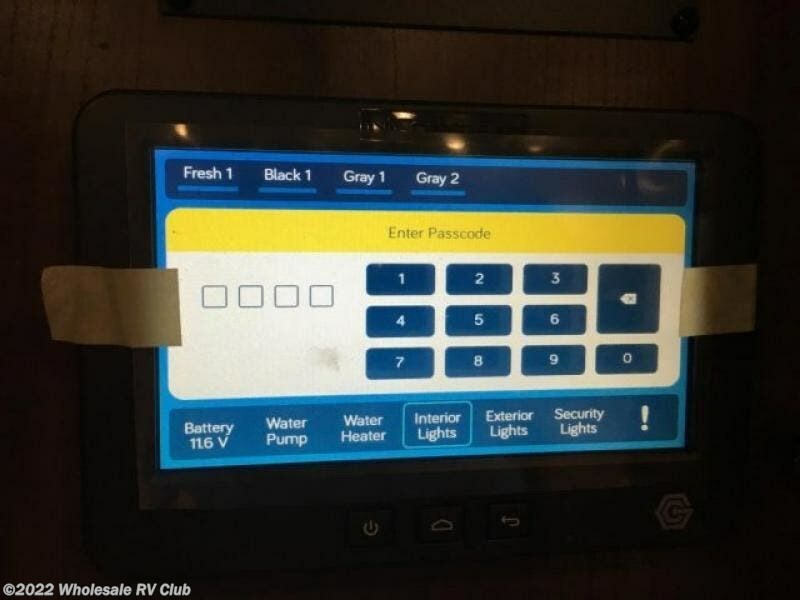 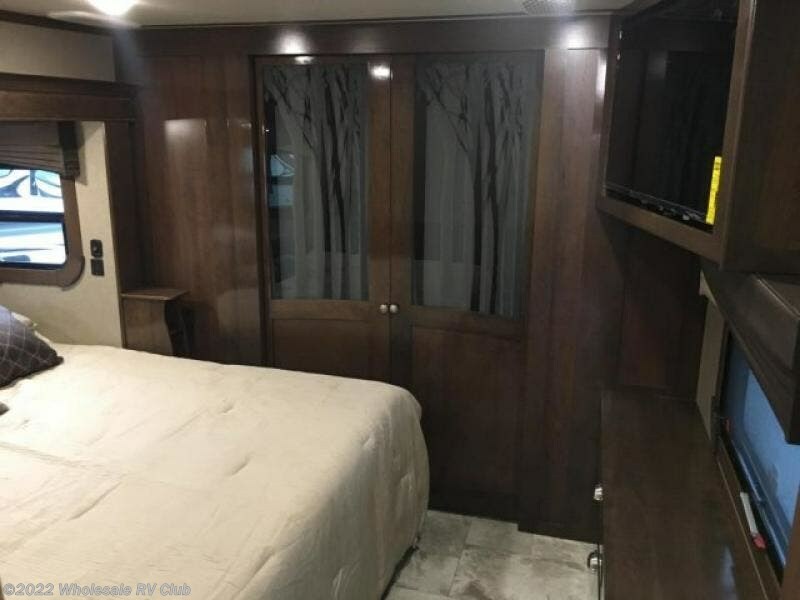 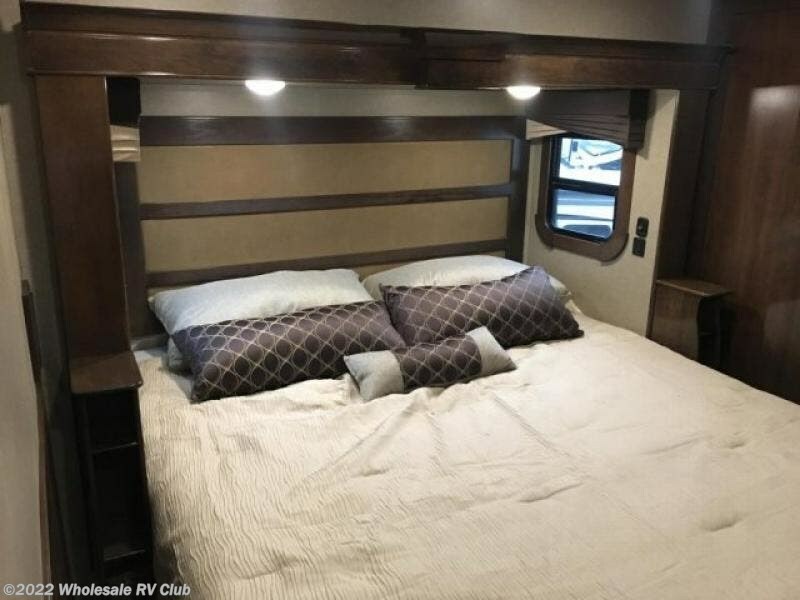 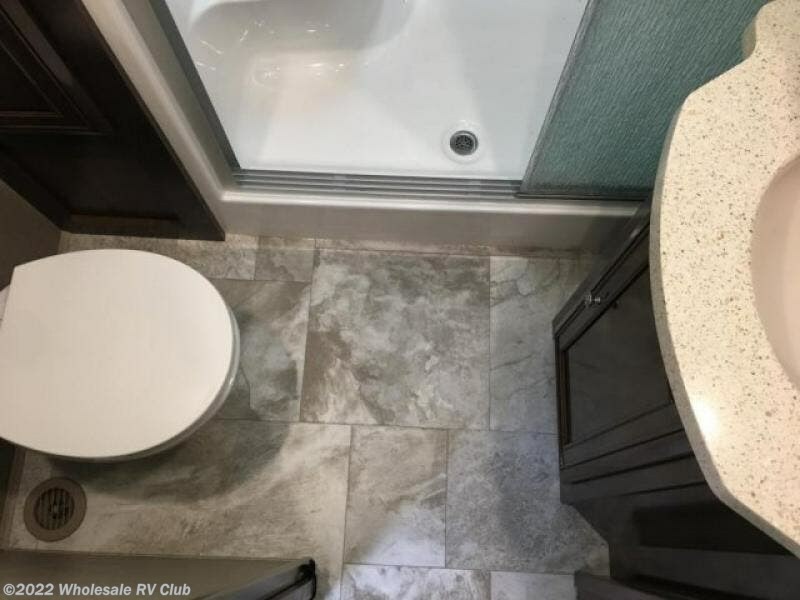 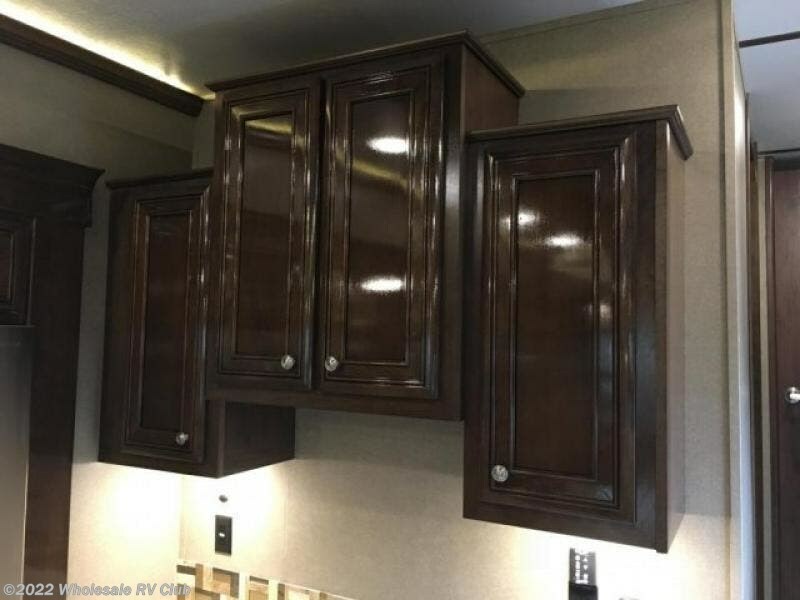 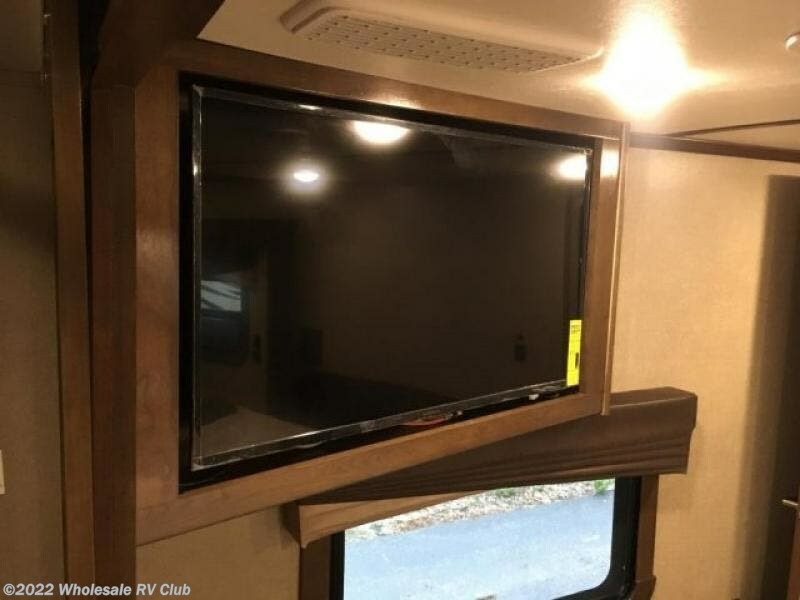 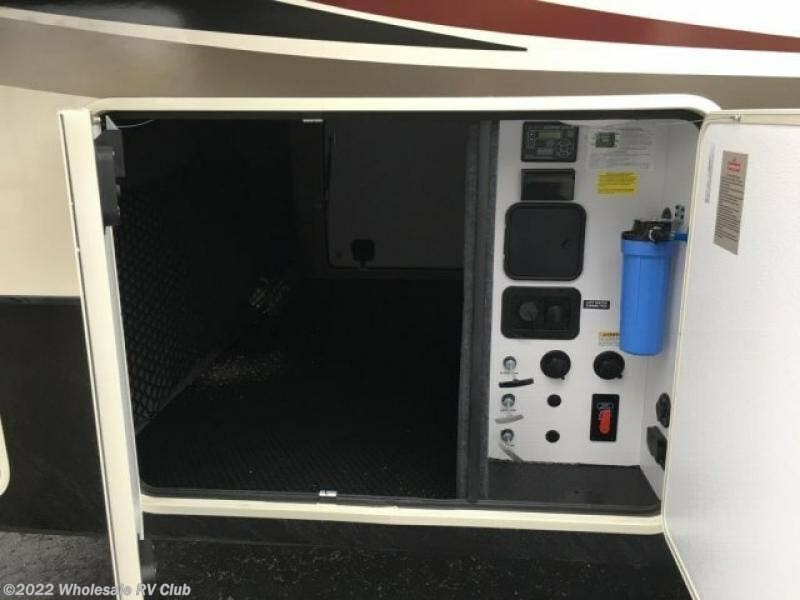 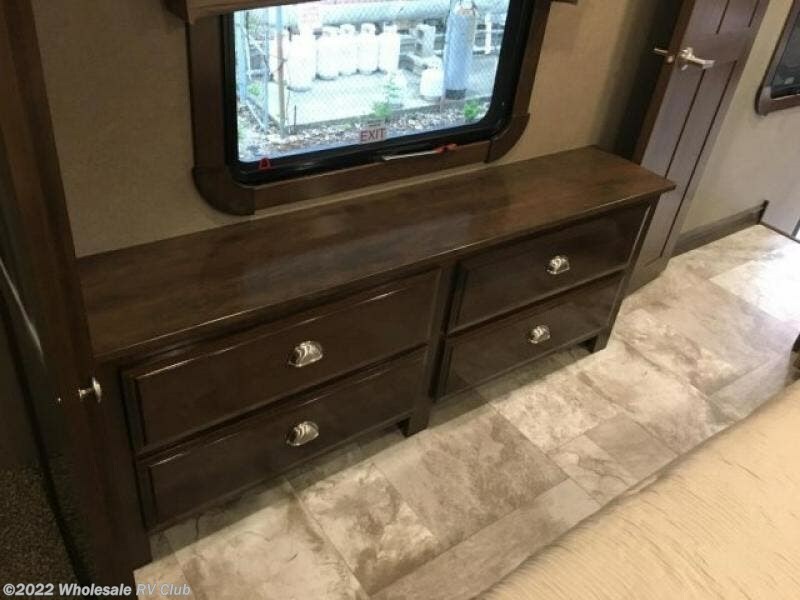 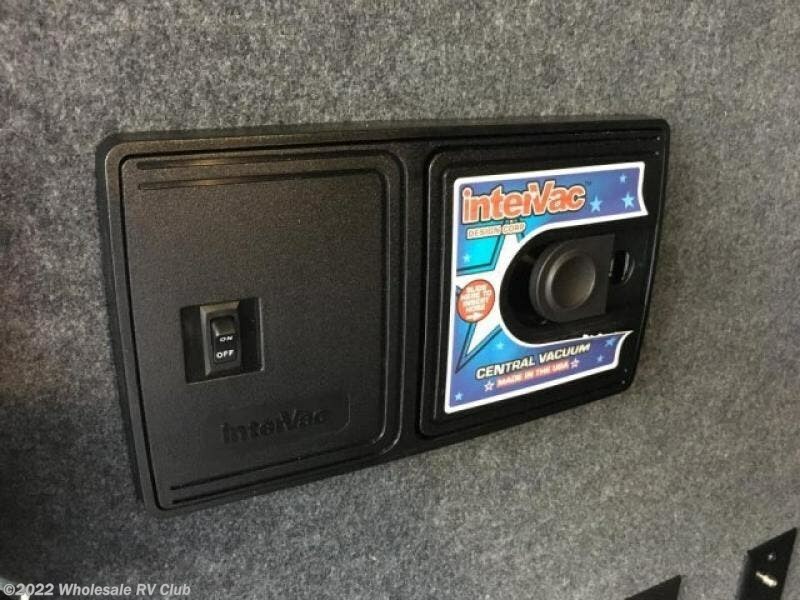 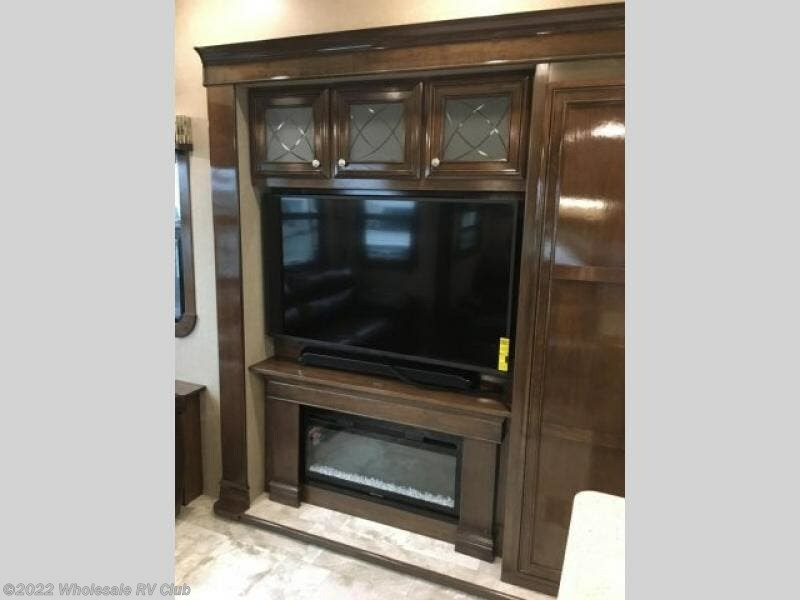 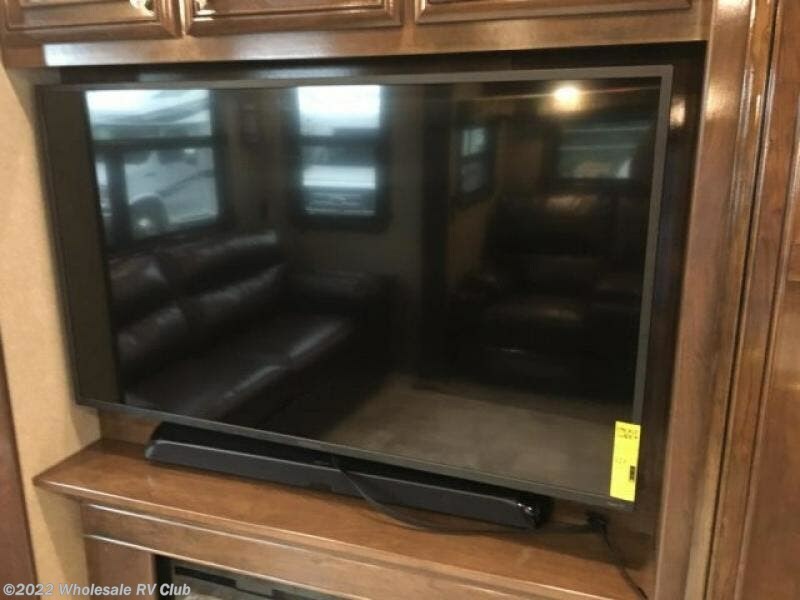 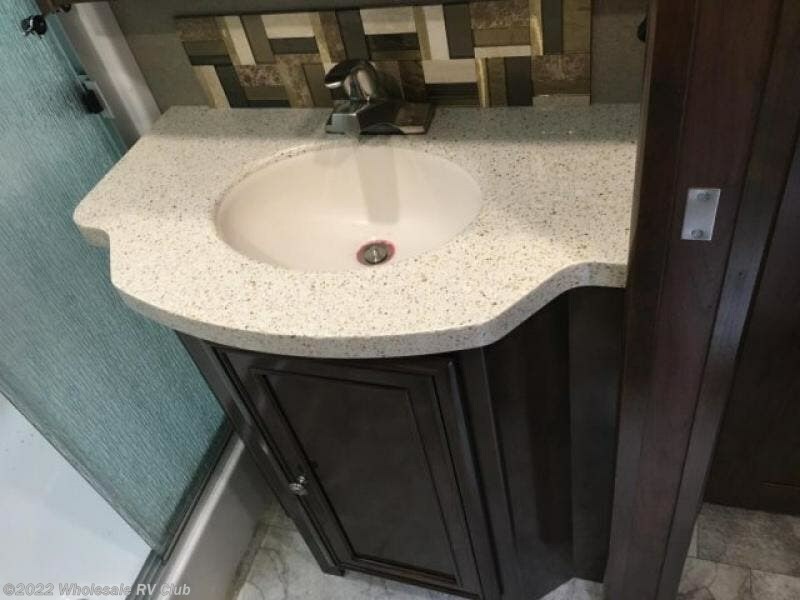 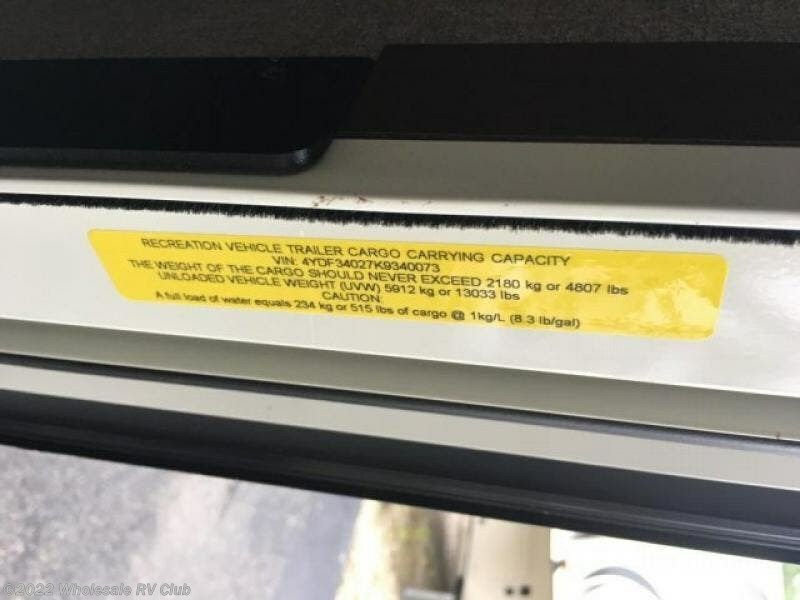 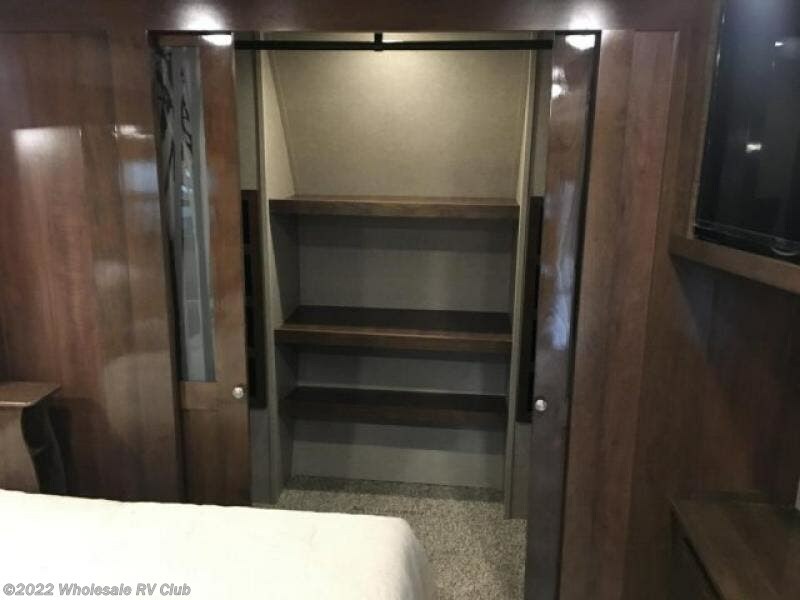 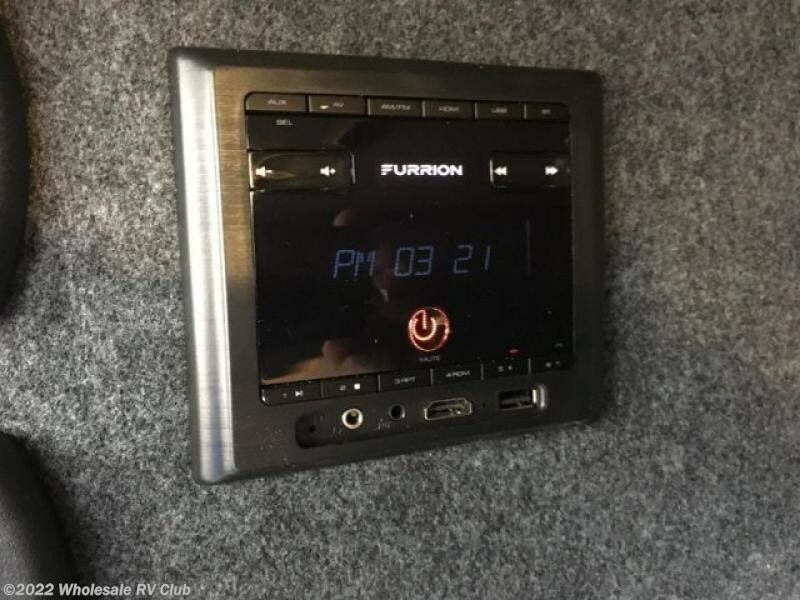 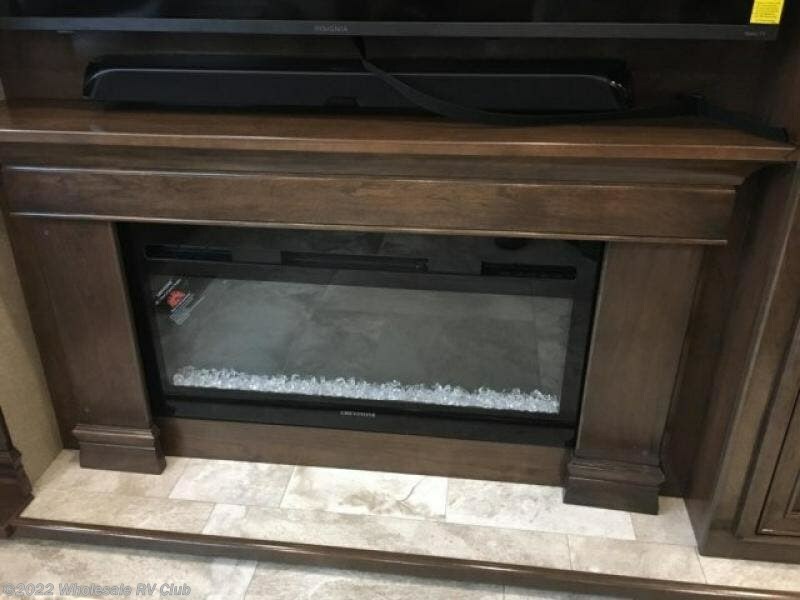 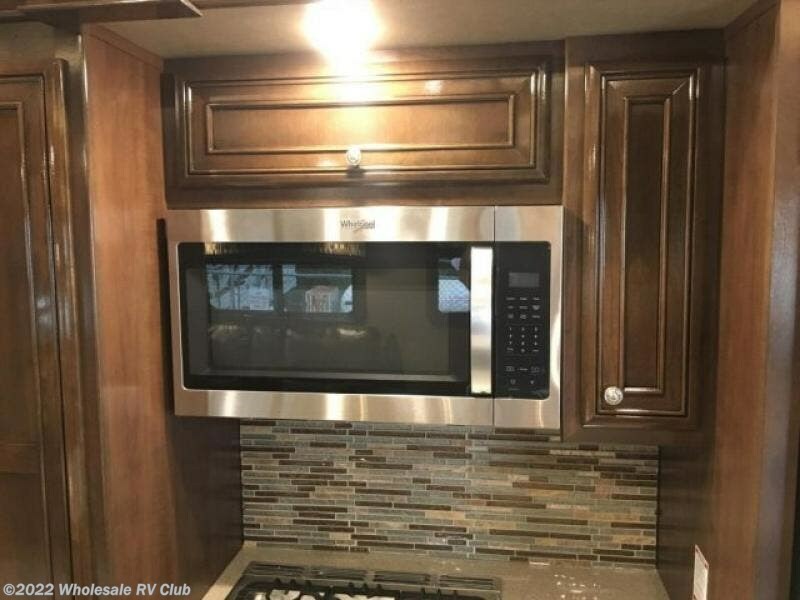 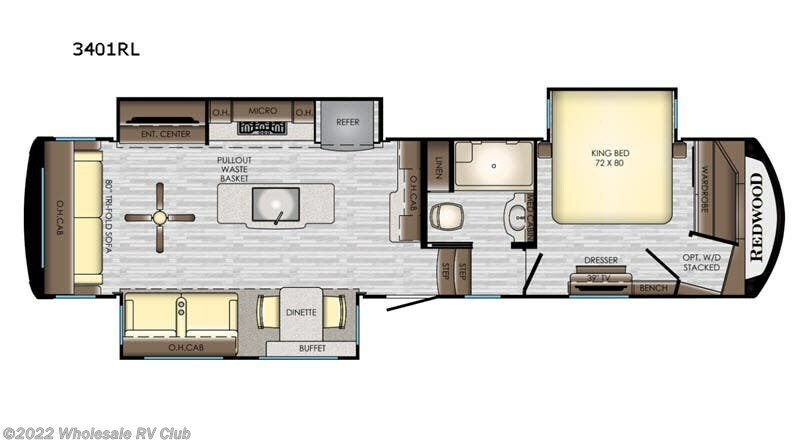 These fifth wheels also include the Redwood parks package, which feature high gloss Cherry cabinet doors, a 39" LED HDTV in the bedroom, USB ports throughout the unit, plus so much more! 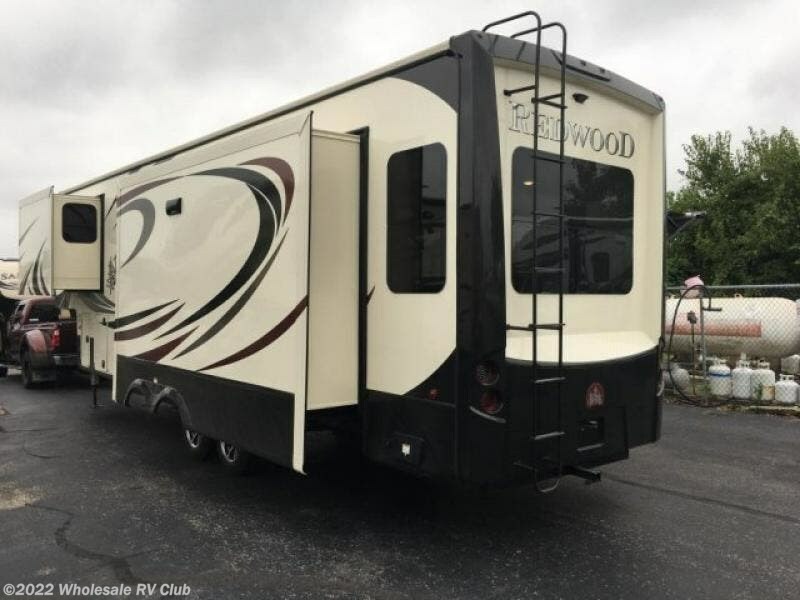 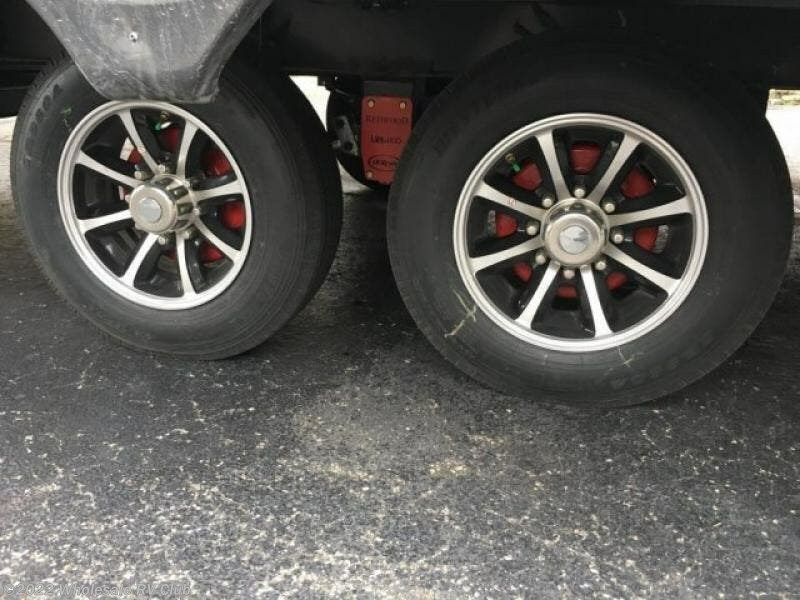 Come make one of these Redwood fifth wheels yours today!